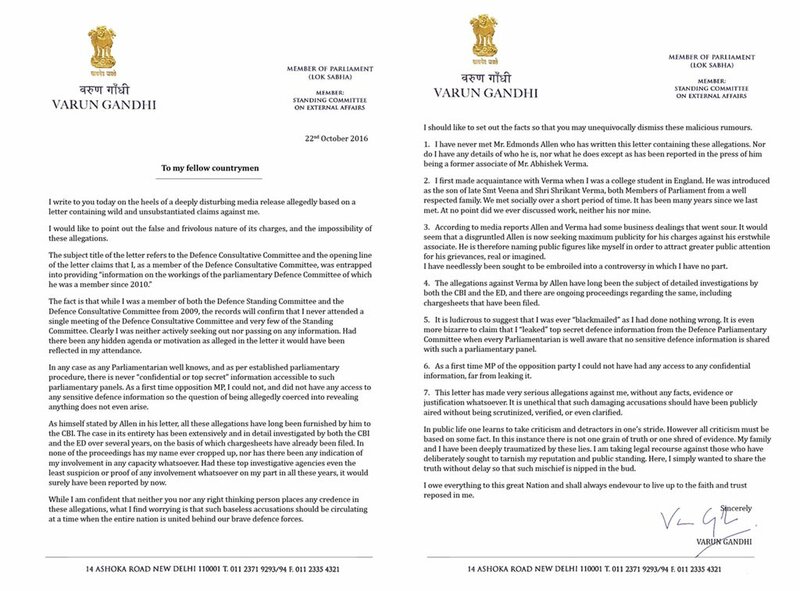 Varun Gandhi rejects all the charges against him regarding being honey trapped and blackmailed. 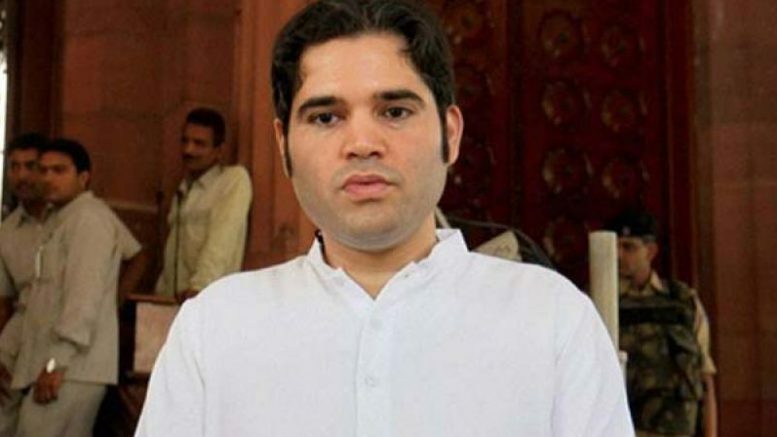 A letter written by New York based lawyer C Edmonds Allen was released by Prashant Bhushan and Yogendra Yadav alleged that Varun Gandhi was honey-trapped by controversial arms dealer Abhishek Verma to reveal secret defence information. 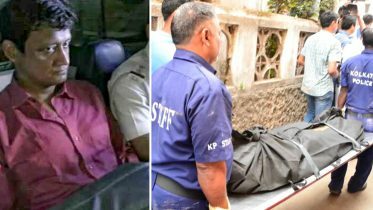 Allen had alleged in a letter to the Prime Minister that Varun had been blackmailed into revealing information from the Defence Consultative Committee, allegedly using pictures of him with ‘foreign escorts’. In his defence, Varun Gandhi said, “While I was a member of both the Defence Standing Committee and the Defence Consultative Committee from 2009, the records will confirm that I never attended a single meeting of the Defence Consultative Committee and very few of the Standing Committee. Clearly, I was neither seeking out nor passing on any information. Had there been any hidden agenda or motivation as alleged in the letter (Allen’s) it would have been reflected in my attendance”. He further added, “In any case as any Parliamentarian well know, and as per established parliamentary procedure, there is never ‘confidential or top secret’ information accessible to such parliamentary panels”. 1 Comment on "Varun Gandhi dismisses honey trapped charges"